According to designer Hideki Kamiya The Wonderful 101 will launch with everything Platinum Games wanted. Downloadable content this generation has become something of an expectation. While some gamers hold particular contempt for things like on-disc and day one add-ons, others enjoy and look forward to DLC, hoping to prolong their time with a game and build on the out-of-box experience. Developers and publishers in turn are generally more than happy to provide said content and, of course, expand on a title's profitability over the long term. That said, not everyone views DLC as a necessity. Hideki Kamiya, a designer at Platinum Games, for instance, doesn't foresee its forthcoming Wii U title, The Wonderful 101, needing any DLC. Responding to a question on Twitter, Kamiya said the following. "We put all we want to do in [The Wonderful 101] so [you] don't need DLC," said Kamiya. 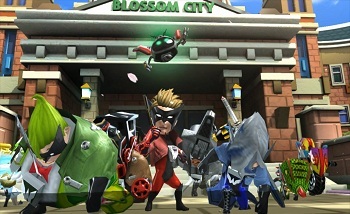 While none of this is an official statement pointing to a complete lack of future DLC for the game, it's nonetheless somewhat nice to think that when you buy The Wonderful 101 you could be getting the complete package, as opposed to having to wait for an ultimate edition or something similar down the road. If The Wonderful 101 does wind up being DLC-free, it could potentially become something of an anomaly among exclusives released on Nintendo's platforms. While Nintendo's commitment to DLC in the past was arguably less than the likes of Microsoft or Sony, the company has shown some signs of investing more heavily in it as of late. Zelda producer Eiji Aonuma has even suggested that future entries in franchise like The Legend of Zelda could see content "beyond what is on the disc" in the future.